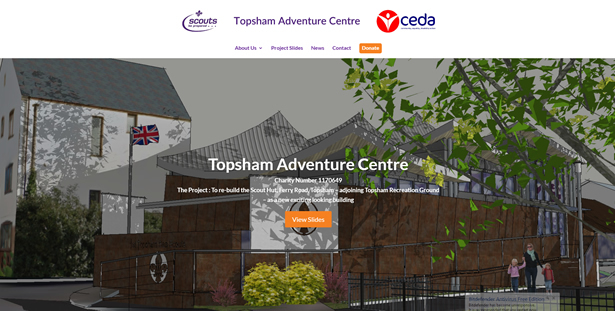 The trustees of Topsham Adventure Centre needed a website to showcase the exciting plans for a new community centre in Topsham. The charity was formed to oversee the rebuilding of the Scout Hut as a joint venture with other charities/organizations to benefit people of all ages whether they be living with illnesses and disabilities or otherwise. The website aims to aid fundraising for the project, inform the community of progress and advertise fundraising events.